My passion for transforming fibre into an exquisite piece of art to wear fuels my creativity in the magical process of feltmaking. After my trip to Russia as a citizen diplomat in 1986, I decided to change my medium from paint to fibre. My creative expression has been nourished by my relationship with natures beauty. My personal focus on transformation and inner growth finds expression while I am in the creative process. I love to work on garment designs that emerge in a whimsical and playful way. I also love to develop new innovations in my felting techniques that lead to exciting results. I have been returning to my roots as a painter by developing designs using a painterly dyeing approach. My Hat and Bag designs develop from my love of the sculptural possibilities of felt, and I am always excited when exploring colour and texture in my medium. Laurie Steffler is a fibre artist, felt fashion designer and instructor creating nuno felted artwear in merino wool and silk. Her soulful and whimsical designs emerge from the womb of creativity that is nurtured by experiencing the peace, beauty and joy of living in nature on Salt Spring Island. Her felt fashion has been selling at major shows across Canada. Her felt costumes have been showcased on runways and used in productions. She loves to explore rich depths of colour through fibre colour layering and the multi- layering of dye baths. She started as an oil and watercolour painter having graduated from the Ontario College of Art in 1982. Laurie has been teaching felt-making for 20 years. Her students are grateful for her 30 year wealth of textile and felting knowledge. 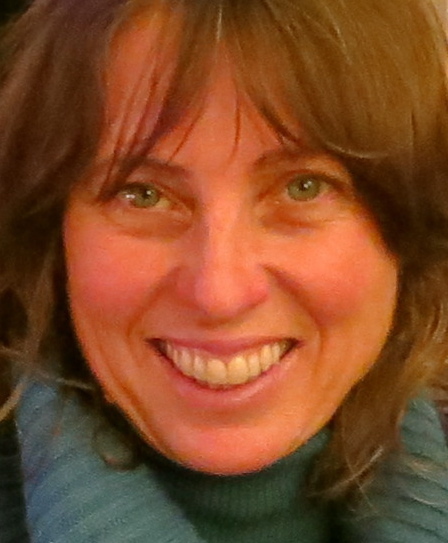 She is able to teach beginners and help advanced students to grow within the same class. She demonstrates innovative surface design felting techniques, has inspiring projects and enjoys supporting her students unique creativity. 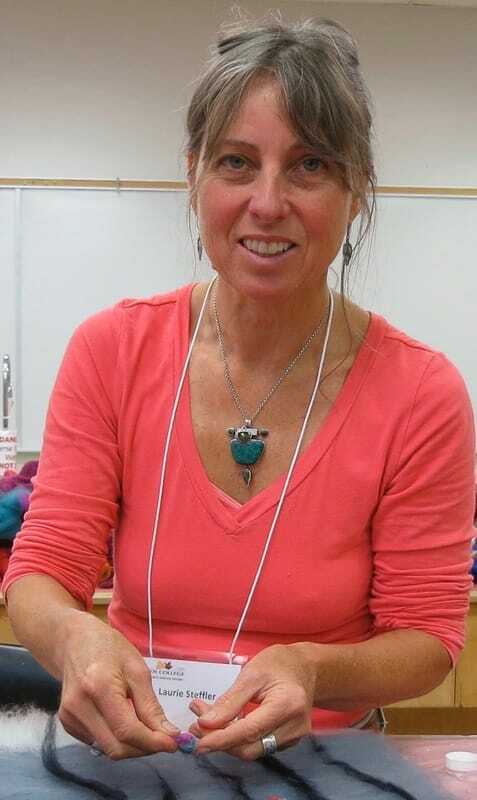 Her love of textile art and passion for fibre art began in 1986 when she learned to felt after joining the the " first women's journey for peace to the U.S.S.R.". She made 21 quilts to give to Russian families from the peace squares gifted by quilters from across Canada. Felt is a textile that is produced by matting, condensing and pressing fibres together and is considered to be the oldest known textile. Heat, motion, and moisture of the fleece causes the scales to open, while agitating them causes them to latch onto each other, creating felt. The technique bonds merino wool into a sheer fabric such as silk, creating a lightweight textile. ​ The fibres can completely cover the background fabric, or they may be used as a decorative design that allows the backing fabric to show. Nuno felting often incorporates several layers of loose fibres combined to build up colour, texture, and/or design elements in the finished fabric. The nuno felting process is particularly suitable for creating lightweight fabrics used to make clothing that will not stretch out of shape.